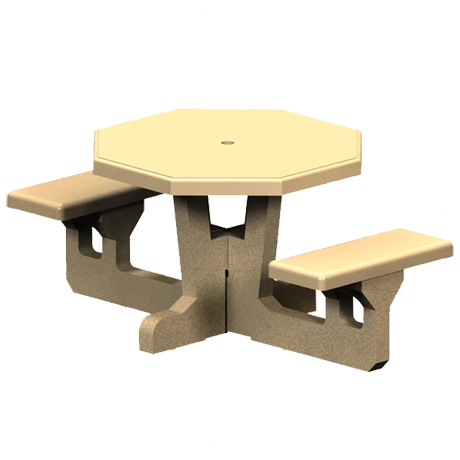 Concrete picnic tables are ideal if you’re looking for a heavy duty, indestructible, permanent and low maintenance outdoor dining table! These are not like the cheap cement picnic tables that you see at roadside statuette dealers. The concrete is mixed to ASTM standards to ensure that it has maximum strength and minimum air bubbles trapped in the mixture. The coloring is added to the concrete mixture so there will not be fade or discoloration. 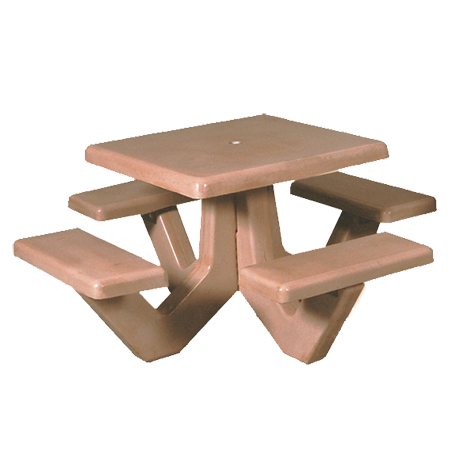 Each concrete picnic table is custom polished to your specification so that your guests or visitors will enjoy their picnic with superb quality furnishings everyday for years and years. 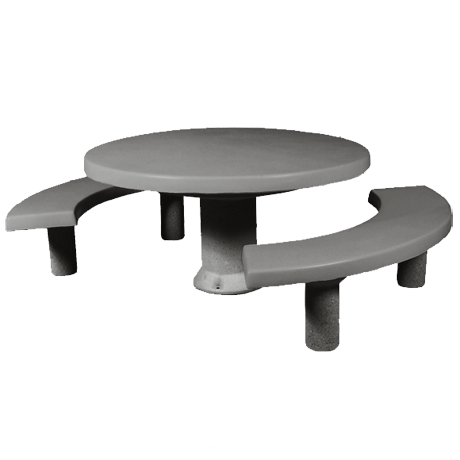 A PreCast Concrete Table is a product produced by casting concrete in a reusable mold or "form" which is then cured in a controlled environment, transported to the construction site and lifted into place. 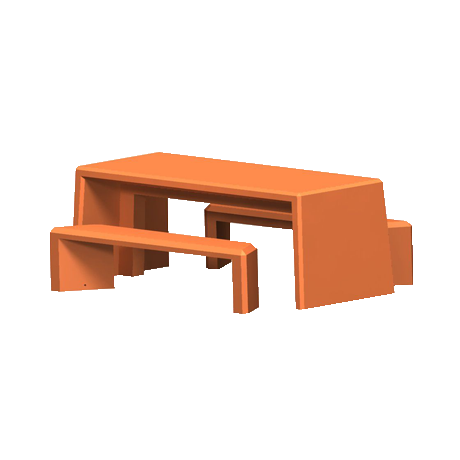 The rugged, steel reinforced construction provides structural support while making these tables virtually unbreakable. 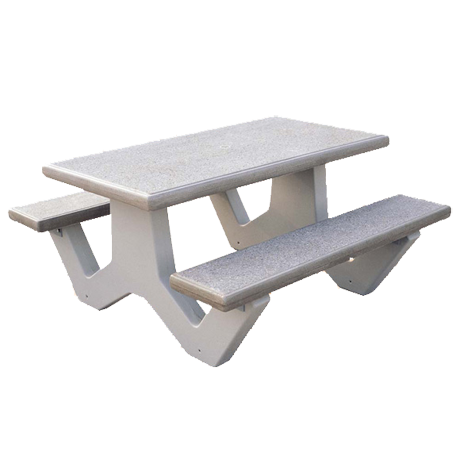 A concrete picnic table offers maximum strength with minimal maintenance. 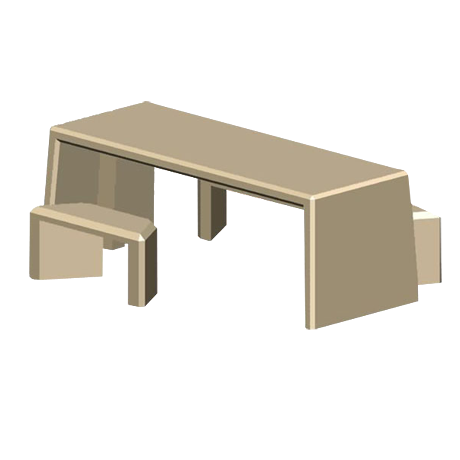 They are ideal for areas with less supervision, like streetscapes, subways and public picnic areas. 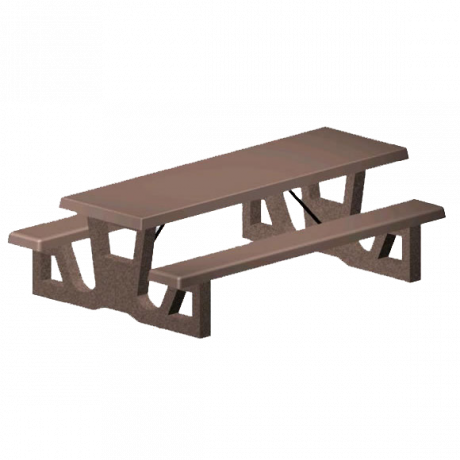 Available in an assortment of textures, colors and finishes, these picnic tables will make any outdoor landscape unique! 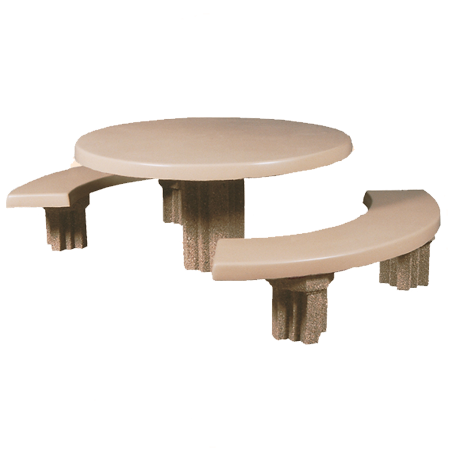 Concrete textures are different for the table bases (legs) versus the top & seat surfaces. As the concrete mixture is being combined, a dye is added to the cement which provides a uniform background color so that either all tops & seats or all leg pieces are of the same color hue. This color is all of the way through the concrete pieces... not just painted on the surface like cheaper tables. 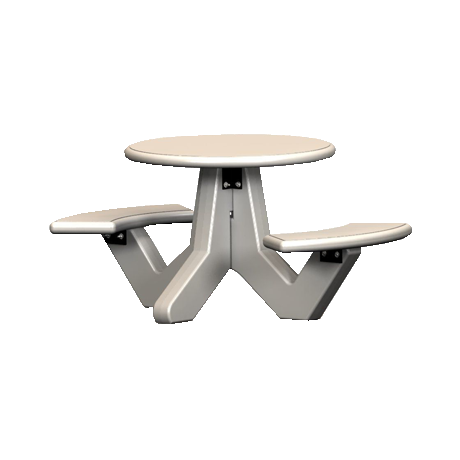 These commercial picnic tables aren’t just outdoor furniture; they are engineered to be true works of art! Special Note: Lift-Gate Service: These concrete tables are extremely heavy, and although they come unassembled, you should order the lift-gate service or have a fork lift available for unloading. The weight of some parts exceed 300 lbs so don't underestimate their weight! 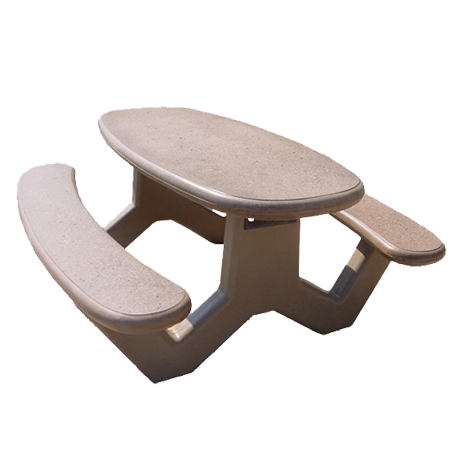 Complete your outdoor setting with concrete benches, concrete trash receptacles, and concrete planters. 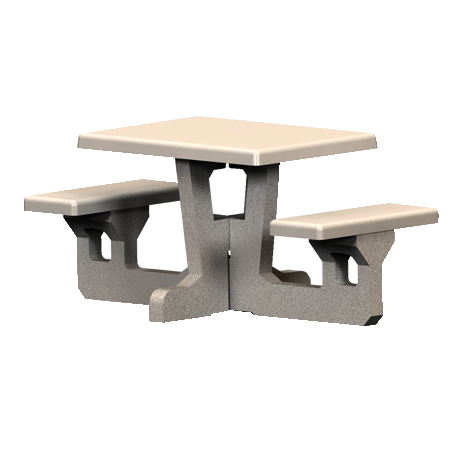 Call our friendly sales staff help you choose the concrete picnic tables that are right for you!